Joseph Smith: The Second Muhammed? A greater prophet than Isaiah? 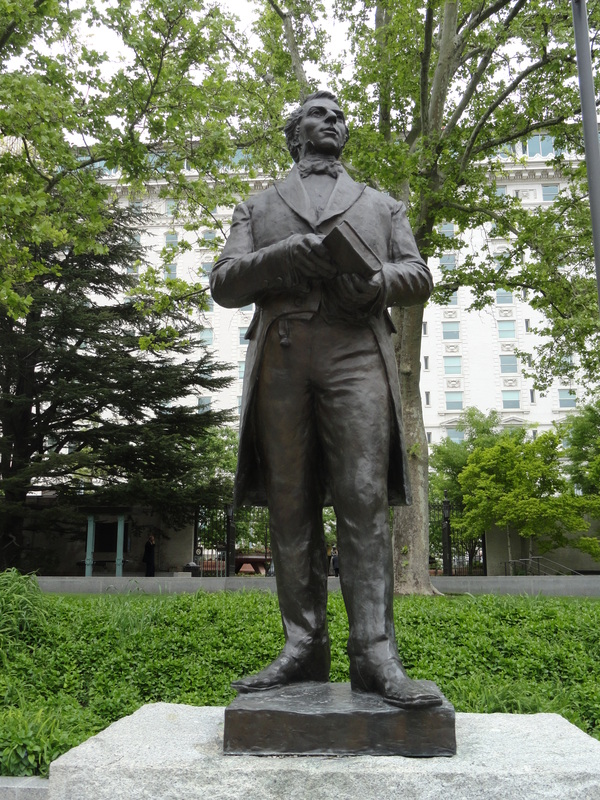 Does the Bible contain Prophecies of Joseph Smith? Is J.R.R. Tollkien also among the prophets? Joseph Smith and his 34 wives at the Mormon Miracle Pageant in Manti, UT (8:50): Faces behind the names in a portrayal to help Latter-day Saints see what Smith’s polygamy really looks like. This portrayal was done on June 26, 2015. Jesus Christ / Joseph Smith (1:20.17): A comparison documentary between Jesus Christ and Joseph Smith. Joseph Smith vs. Muhammad (1:00): Doris Hanson (What Love is This?) interviews Eric Johnson on similarities between the Mormon founder and Islam’s Muhammad. Aired on January 9th, 2014 on Channel 20-Utah. Joseph Smith and the Golden Plates (1:00): Doris Hanson (What Love is This?) interviews Bill McKeever about the weight of the gold plates. Aired on February 14, 2013 on Channel 20-Utah. The Untold Story of Joseph Smith’s Death (1:00): Doris Hanson (What Love is This?) interviews Bill McKeever about the “marytrdom” of the LDS Church founder. Aired on February 2, 2012 on Channel 20-Utah. Joseph Smith as a Passport into God’s Presence (0:52): Bill McKeever explains how Joseph Smith is vital for Latter-day Saints. Joseph Smith as a Sexual Predator (5:41): Sandra Tanner talks frankly about Joseph Smith’s escapades. The Stories of the Wives of Joseph Smith (41:09): Many people may be surprised to learn that Joseph Smith had 33 wives, including 10 (or 11) who were married to other men and 11 who were teenagers. The Thirty Plus Wives of Joseph Smith (4:11): A list of the women whom Joseph Smith married. The Thirty Four Wives of Joseph Smith (56:54): Chip Thompson (Tri-Grace Ministries) talks about the many wives of Joseph Smith at the 2011 Capstone Conference. The Untold Story of the Death of Joseph Smith (25:54): Bill McKeever talks about the true events surrounding the death (what Mormons call the “martyrdom”) of Joseph Smith.